Driving offers freedom and independence, making it possible for people to go wherever they want without having to arrange alternative forms of transportation. Unfortunately, the majority of people have to stop driving at some point as they get older. This can be an extremely challenging time for seniors. Giving up driving means sacrificing much of their independence, which can have devastating effects on their self-confidence and can make getting around a lot more difficult. As a senior, it is important to look for alternative forms of transportation so that you can stay as active as possible. Otherwise, you may find yourself stuck at home, feeling cut off from the world because you can no longer drive. Although you may be able to rely on your family members and friends to get you to and from your appointments or other activities, it is worth looking into other transportation options, as well. You don’t have to spend a fortune on transportation to get wherever you need to go. Instead, there are plenty of low-cost choices available. Even if you have limited mobility and have to use a wheelchair or walker, public transportation is still an option. All buses and trains that are designed for public use have to have wheelchair lifts installed. In some cases, the cost of your transportation may even be covered by insurance plans like Medicaid. Talk to your Medicare insurance provider to find out whether or not coverage is available for getting to and from your medical appointments. The Americans with Disabilities Act (ADA) requires para-transit vehicles or other types of accessible transportation solutions to be available wherever public transportation service is offered. These vehicles are equipped with special features that are designed to accommodate people with disabilities, including those in wheelchairs. The law also requires providers who operate these transportation systems to keep the cost lower than two times the standard cost of public transportation. For instance, if a bus ticket costs two dollars, the operator of the para-transit system can charge no more than four dollars for a similar ride. ans Act (OAA) that is designed to ensure that each region has an Area Agency on Aging. Consider reaching out to your local chapter of this agency to talk to them about transportation options that are available for seniors in your area. 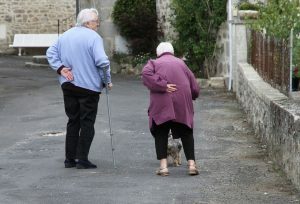 Many senior centers or social service groups also provide periodic transportation for seniors to places like the grocery store, local medical buildings, and libraries. 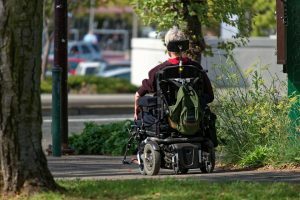 Although this option isn’t quite as flexible as some of the other choices that are available, it still can be a cost-effective and convenient way to get around. Typically, these transportation programs follow a predetermined schedule. For instance, they may provide transportation for seniors to get groceries on Wednesdays at 10 AM. Trips to the library may be held on Thursdays at 11 AM, and so on. One of the benefits of this type of transportation is that it provides a social outlet, as well, since seniors get to travel with other people who are facing a lot of the same issues.